The result compared with a profit of £27.3 million in 2016-17. Turnover for the year to end-June 2018 also climbed, by nearly 15% from £121.2 million to £139 million. 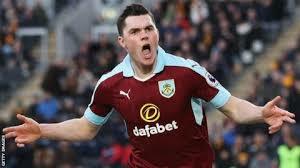 With costs on the increase, the improvement was mainly the consequence of player sales, notably defender Michael Keane’s £25 million move to Everton in July 2017. These transfers produced a gain of £30.7 million, up from just £1.3 million the year before. This was even though the cash flow statement indicated that the club spent nearly £27 million more on “intangible fixed assets” than it received in 2017-18 – £41.4 million versus £14.6 million. Operating profit was actually down by nearly half from 2016-17 levels, at £14.4 million against just under £26 million. This was explained chiefly by a £20 million jump in staff costs from £61.2 million to £81.6 million. “The Premier League ‘wages league’ is one we are certainly not bottom of anymore,” noted Mike Garlick, chairman, saying the year-on-year jump was the result of “our determination to be more competitive in the market, coupled with increased bonuses for both players and coaching staff”. The Clarets have endured a more difficult season this time around, however, tumbling out of the Europa League in the play-off round, at the hands of Greece’s Olympiacos, and having still not secured their Premier League future for another year with just six games to play.